Dance is very much a temporal art form, which on occasions such as this, may require some patience from audience members. Unlike Bill Viola’s ultra-slow motion films or the intense emotional landscapes of Butoh, which share a similar dynamic, Tim Darbyshire’s abstract, reductionist choreography avoids human expression. His work is like living sculpture. The opening scene, dimly lit, develops extremely slowly from an almost inscrutable tangle of bodies. One inverted dancer gradually peels away from his motionless partners, until eventually they resolve into headless torsos, tailbones pointing skywards, like weathered standing stones. Darbyshire and his co-performers, Matthew Day and Sophia Cowen, crawl through tightly focussed scenes working with different combinations of movement and sound. The noise generated on stage, through rasping breath or squeaking shoes, is looped and combined with recorded sound, then delivered to the audience through headphones. In the final moments, during a long, slow retreat into gloom, the headphones allow for total immersion. At other times, especially when the sound is sparse, they seem underutilised. 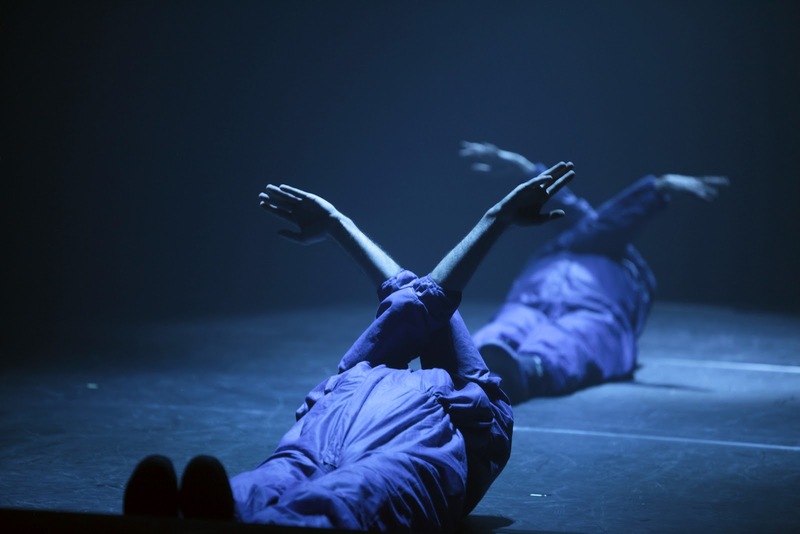 Ben Shaw’s deep blue lighting and Rebecca Agnew’s hooded boiler suits combine with the de-humanising choreography to erase almost any recognisable feature from the dancers bodies. Depending on one’s inclination, this either allows for endless interpretation or total disengagement. When at its best, More or Less Concrete physicalizes bodily rhythms in a playful, carefully developed and designed atmosphere. But there’s a very fine line between challenging an audience and boring them to tears. Concrete can be molded or shaped into any form or pattern, which means it isn't limited to only basements, garages, and sidewalks. Kitchen remodeling projects might find a countertop of stained concrete a more durable, artful and cost-effective material than granite or laminate. Coffee tables and even dining room tables are now being made of concrete.